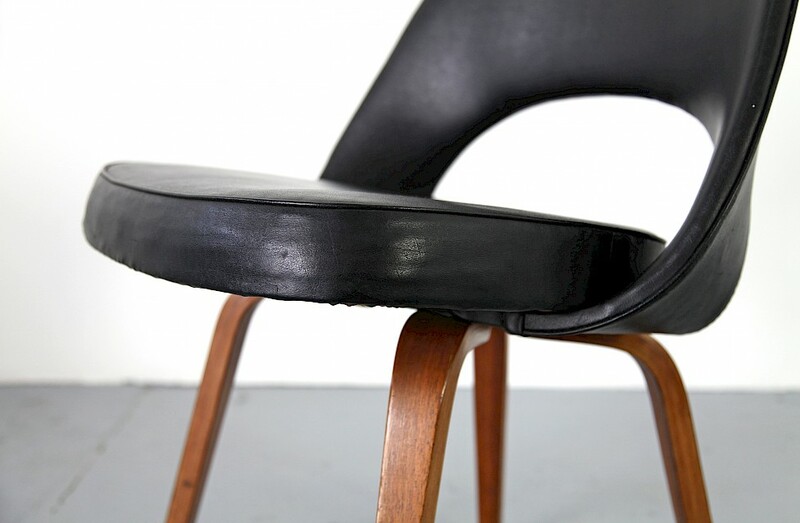 Beautiful, old version of the "Executive Side Chair" by Eero Saarinen, produced by Knoll International. Rare edition with plywood legs. In great condition with traces of use, minor veneer damages were repaired.